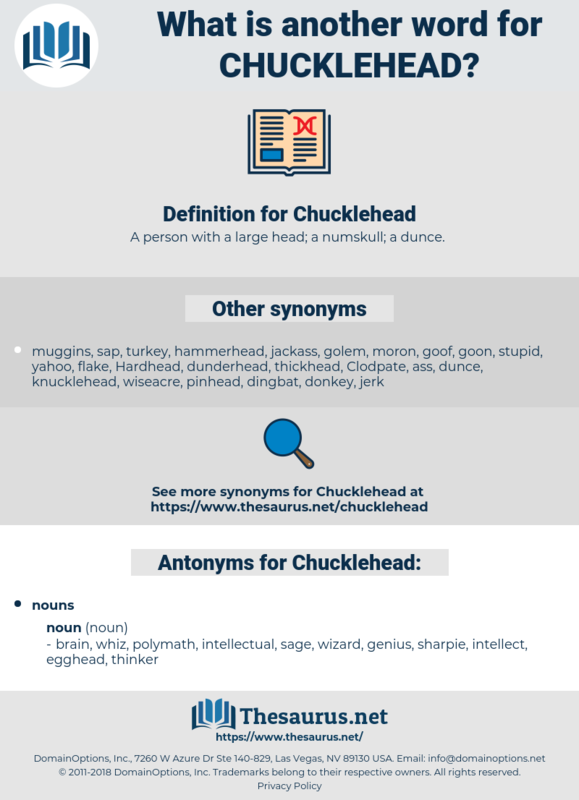 What is another word for Chucklehead? A person with a large head; a numskull; a dunce. egghead, thinker, intellect, sharpie, intellectual, brain, wizard, genius, sage, polymath, whiz. 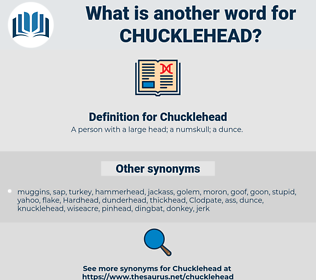 He can't bluff me, the chucklehead. Is he not much handsomer and better built than that great chucklehead?